We take care of the accounting, so you can focus on your product. 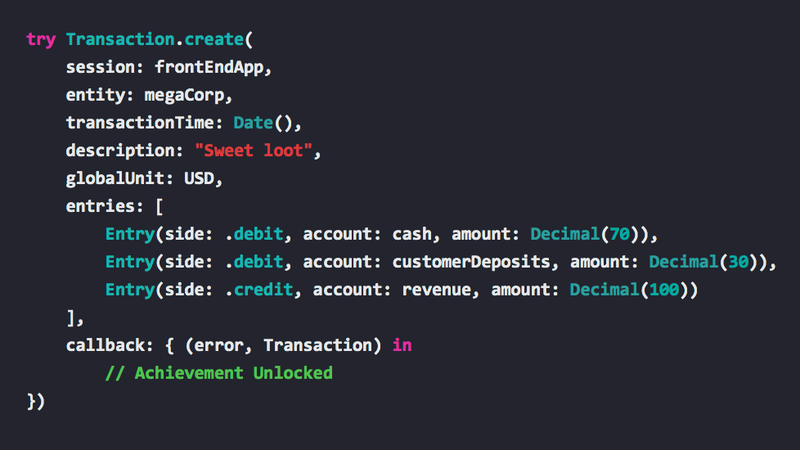 Developers can use Amatino to build financial functions into their apps. It's super fast, secure, and respects your privacy. The Amatino API (Application Programming Interface) provides an accounting engine as an on-demand service. Amatino acts as white-label infrastructure, providing financial functionality to your application. We don't mine your data. We don't run machine-learning algorithms over your data. We don't sell insights gleaned from your data. We don't have a shady subsidiary selling aggregated metrics about your data to advertisers. We don't enjoy undefined behaviour. 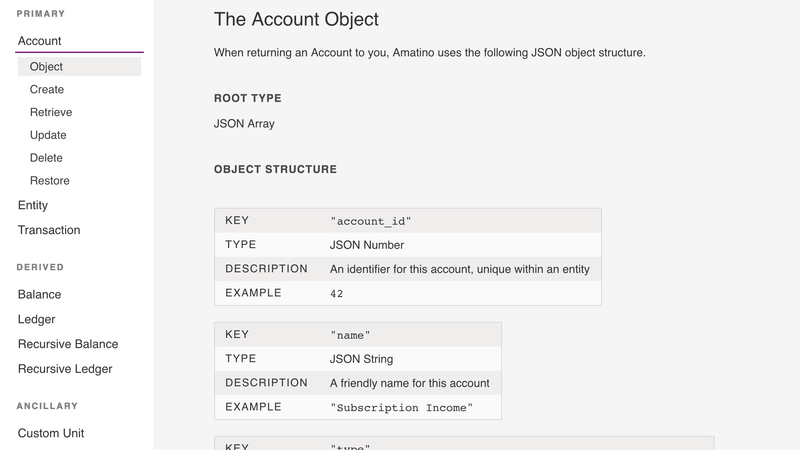 The Amatino API's paths, methods, input and output types, limits, and behaviours are fully documented. All source code is MIT licensed. Pull, feature, and issue requests welcomed with open arms. Amatino is available via a monthly subscription. Our pricing strategy is simple: Offer you lots of accounting system for a bargain price.